In the early 1980s several revolutionary new techniques were introduced to archaeological science - including accelerator C-14 dating, thermoluminescence dating of burnt flint and calcite, and the application of uranium series dating to Palaeolithic material. Developments in analytical chemistry also made possible more detailed and accurate analyses of archaeological material. This book, published in 1986, provides a guide for the archaeologist with little scientific training to these techniques as well as to established techniques from the physical and chemical sciences, and has a chapter on the archaeological uses of computers. 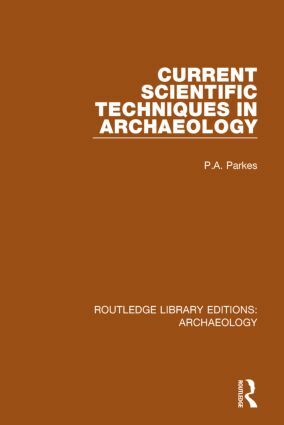 Each chapter describes the archaeological potential of the technique and explains the scientific principles involved, with a number of examples to illustrate the particular technique in practice. Attention is given to common problems which may affect the accuracy or nature of the results obtained and to what constitutes a suitable sample.